If you are looking for Funky, Unique and quirky gifts, home items, jewelry, clothing and much more then you need to check out The Lost Lanes! The Lost Lanes is the creation of Michael and Raquel who are a husband and wife team living in East London. Together they share a love for East London’s creative scene discovering new markets as well as hidden away boutiques, searching for all that is unique and inspiring. Their mission is simple and clear, to only take on and showcase designers who are just that, designers, people who built their ideas from dream to concept. 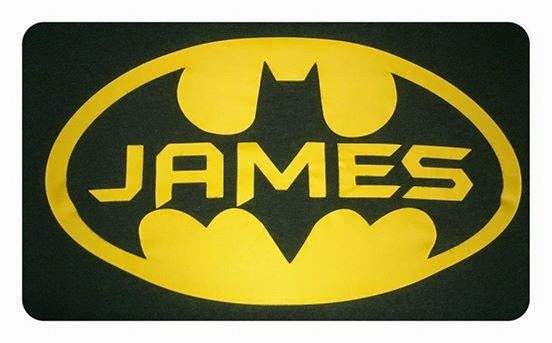 We were sent a personalised Batman T-shirt by Rusks and Rebels to try out with James. 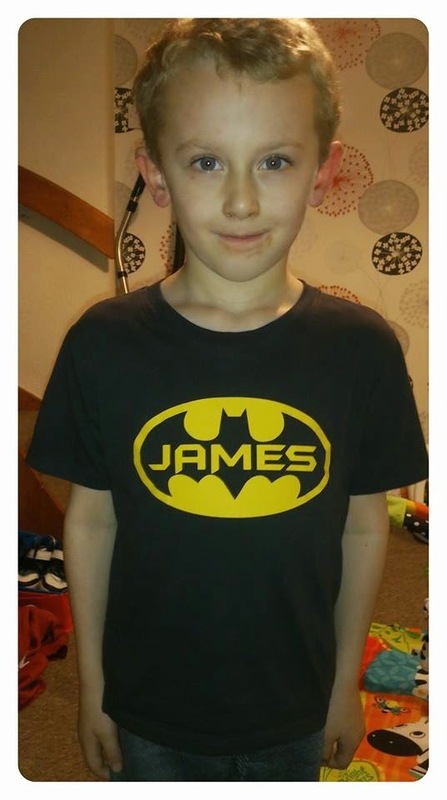 James loves batman and the fact this t-shirt came with his name on made his automatically his favourite! Although the t-shirt looks more black on the website it is actually more of a charcoal grey with a lovely vibrant yellow batman symbol badge and your choice of name (up to 10 letters). The t-shirt is such good quality and has been through the wash several times and still looks as good as new. The yellow badge has shown no signs of peeling or fading at all. The actually t-shirt itself feels lovely, soft and comfy and is made from 100% cotton. As well as the washed black pictured above the t-shirt is also available in washed white, green and pink all featuring the same vibrant yellow batman symbol. With regards to sizing I would say order a size up. James has just turned 5 and although he is relatively tall me ordered a 6-7 and this fits him perfectly now. The RRP is £20 and is really worth it! This includes the personalisation of adding your childs name to the front. It is available in sizes 2-3years right up to 10-12 years! What is your favourite item from the website? That's such a good idea, especially for a Christmas present. I want tee like this! It would make such a wonderful gift. My son is mad on Batman at the moment and would love a T-shirt with his name on! So cool for mini Batman fans! Such a cool t-shirt for Batman fans! That is such a good idea for a tshirt, my nephew would love this!